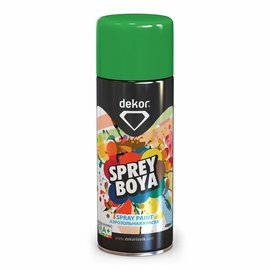 Dekor spuitbussen - TEPE BOUWMATERIALEN B.V.
Dekor spray cans are qualitatively very good, even covers 1x. 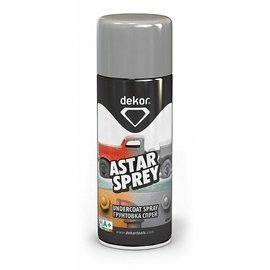 It is a quick-dry, resistant to various weather conditions, durable, acrylic and solvent based paint which gives high quality long life professional results in interiors and exteriors. 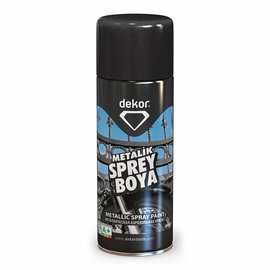 It can be used on metal, wood, cardboard, glass, stone and all kind of rubber and plastic surfaces. surfaces. 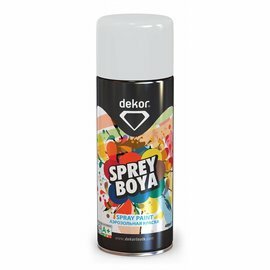 Before starting the spray paint, shake the spray bottle well (1 min.) and apply a testing paint on a different surface. 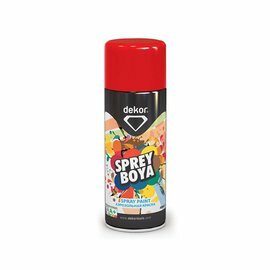 Spray at a distance of 25 cm with slow and constant horizontal movements. After about a minute, pass over the area with a vertical movement. Paint the surface min. twice in thin layers. Wait for 20 minutes after each application. Surface dries between 5 to 20 minutes at 20 °C. The definite drying is done in 24 hours. Using 1 can and applying 1 layer, can approximately paint 2 m² surface. 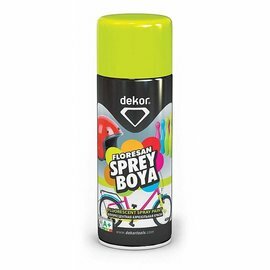 Turn the can upside-down and spray till the propellant comes out in order to prevent to get dry of top of the valve. Don't use on synthetic paint.